I might be one of the only people that enjoyed the first season of Iron Fist on Netflix. Yes, the fight scenes were mediocre and Finn Jones, who plays Danny Rand, was often overshadowed when fighting anyone else. The villain left a lot to be desired, but when it all boils down to it: this was a TV series dedicated to Iron Fist. IRON FIST. Who would have ever thought we would see the day? So when season 2 touched down in September, skeptics had a close eye to the screen to see if the series made the jump from passable to greatness. In my opinion, it more than does so. So I have boiled it down to the top 5 reasons I feel that Iron Fist Season Two shines and deserves a season 3 (I hope you are reading this, Netflix!). It is always great when you see connections to the other shows Marvel and Netflix produce, as it adds to the cohesiveness of the projects. Luke Cage Season 2 had a whole episode that featured Iron Fist as they took to the streets in a very Heroes for Hire style. With Iron Fist Season 2, sadly we don’t see Power Man make an appearance, but we get some solid connections to the other shows. This includes, of course, Misty Knight (Simone Missick), who plays a significant part throughout the series, adding fuel to the flame to the whole Daughters of the Dragon subplot. We also see the underhanded and connected Turk from Daredevil, Jessica Jones, Luke Cage, The Punisher- he is one of those connectors to all of the shows. It’s good to see this universe grow and expand. In the first season, it was confusing to see who was on Danny’s side, who was against him, so support characters didn’t come into play until the end. With the second season, Danny has a group of trusted allies he can turn to, and boy does he need them. From Colleen Wing (Jessica Henwick), who once again steals the scenes she’s in, to Ward Meachum (Tom Pelphrey), who finally starts looking out for Danny like a brother, the supporting cast is strong as ever. It is easy to see from episode one that the fight scenes have been worked on tremendously hard. We now see far more convincing scenes instead of telegraphed punches in slow motion. Whether it is from Danny, Colleen, Misty, or on the other side of the coin, from Davos and Mary, the fight scenes are extremely enjoyable. There is no better measure to a hero than the villains he or she faces, and with this season, we get a far better representation of forces to oppose the Immortal Iron Fist. First is the return of Danny’s longtime friend from K’un L’un, Davos (Sacha Dhawan), who in comics takes on the guise of the Steel Serpent. Davos is on a quest to become the one, true Iron Fist, and succeeds in grand fashion in this season. His cold demeanor and social awkwardness make him a perfect foe for Danny and Collen. But Davos isn’t it, as we see a classic Daredevil villain make their grand entrance as Typhoid Mary (Alice Eve) makes her small screen debut. A veteran with multiple personalities, Mary is key to this season, and Alice Eve knocks this role out of the park. From the sweet and dumbfounded Mary to the skilled and disciplined Walker personality, Typhoid Mary’s character is amazing to see in action. But we never see her become “Typhoid Mary,” as this might be the third personality hinted at in the season. Let’s hope we see her return in season 3, or in Daredevil to class with the devil of Hell’s Kitchen. Easily the best part of this season for me has to be the mythology explored for the history of the Iron Fist. From the flashbacks of the fight between Danny and Davos for the mantle to the hints of how far back the legacy goes, the mythology being built here serves the series extremely well. Seeing the corpse of an Iron Fist, as well as the massive bombshell of an ending, bringing Orson Randall’s name into the fold. 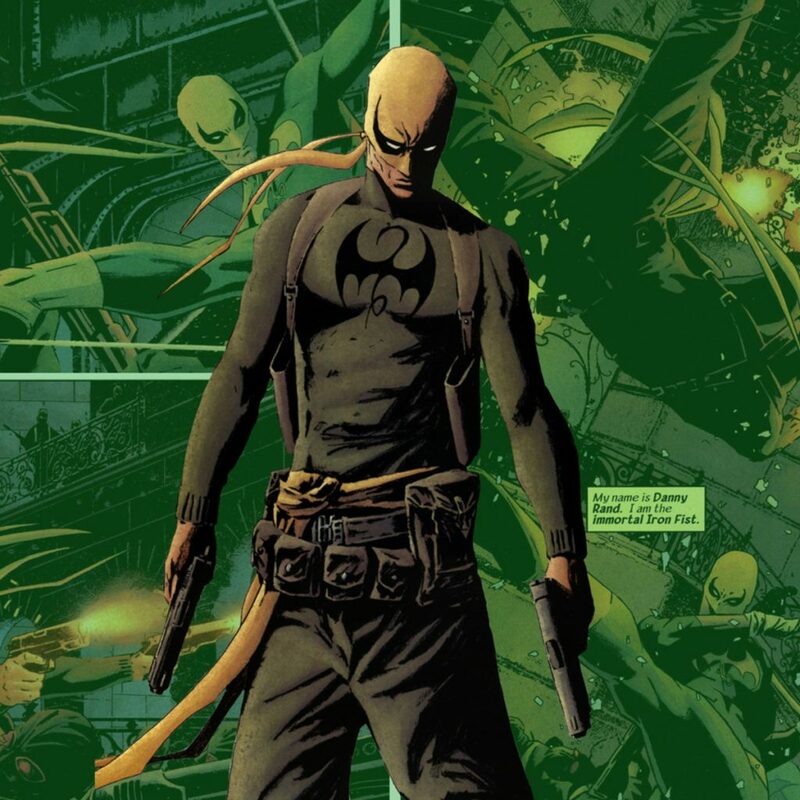 Randall being tied to the Iron Fist legacy, known for using his chi to power his guns, much like Danny does in the last scene of the series. Will this lead to us seeing more of the other champions from the Cities of Heaven? Like the Bride of Nine Spiders or the Prince of Orphans? Iron Fist’s mythology is so rich; I cannot wait to see what’s next. But will we get a third season? Marvel is just waiting on the green light from Netflix, so let’s inform Netflix that we want a season 3! Twitter, Instagram, e-mail, snail mail, fax, however you want to do it. Iron Fist deserves the third round after this knockout of a season.